Image courtesy of Fundamedios, an Ecuadorean media watchdog. It is safe to say that Ecuadorean President, Rafael Correa, does not take criticism well. His frenzied Twitter rants garnered international attention last year when John Oliver, a British comedian and the host of HBO’s Last Week Tonight, mocked the president’s temper on air. But Correa’s allergy to criticism has been common knowledge among Ecuadoreans for years. In 2013, Ecuador’s National Assembly passed a draconian communication law that calls for the strict regulation of all media content broadcast in Ecuador. Oddly enough, Article IV of that legislation explicitly states that any content distributed via digital platforms, such as websites and social media networks, are not subject to the same regulations. Unsurprisingly, President Correa eventually grew unsatisfied with the law’s leniency in this area. 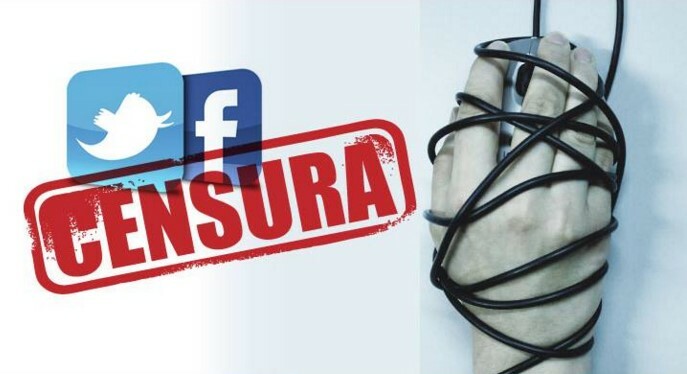 Instead of modifying the communications law to include digital media content, however, the Correa administration opted for more ingenious ways to silence critics online. One of the more creative ways the Correa administration is repressing free speech online is by turning to international copyright laws. And, to add more creative flair, this repression is being outsourced to anti-piracy corporations like Ares Rights, a Barcelona-based, anti-piracy firm that has a long history of filing questionable copyright claims to censor content that Latin American governments dislike. Since 2011, Ares Rights has filed over 186 copyright complaints, 87 of which were filed on behalf of politicians and government agencies in the Americas. Of those, 74 claims were filed on behalf of clients in Ecuador. Despite the Correa administration repeatedly denying its affiliation to Ares Rights, their linkages have been well documented by copyright watchdog groups. These suggest that the Correa administration first hired Ares Rights as a subcontractor during its 2013 lawsuit against Buzzfeed, a social news and entertainment website, for publishing leaked documents from Ecuador’s Intelligence Agency (SENAIN). Ultimately, Buzzfeed acquiesced to the complaint and took down the documents. Following the resolution of that lawsuit, Ares Rights has continuously filed copyright claims against websites that post less than favorable content about President Correa, citing a variety of international treaties on copyright law. Most recently, Ares Rights has started filing copyright infringement claims exclusively citing the Digital Millennium Copyright Act (DMCA), a U.S. copyright law that recognizes foreign intellectual property rights. The DMCA holds websites liable for distributing copyrighted material, which encourages hosts to immediately suspend content as soon as they receive a notice of complaint. Combined, these two factors make the DMCA a preferred censorship tool for Ares Rights. Eventually, most of Ares Rights’ infringement complaints are dismissed due to the Fair Use clause, which allows for unauthorized distribution of copyrighted work under certain circumstances. However, this does not seem to deter their Ecuadorean client(s). Then again, why should it? President Correa has many tricks up his sleeve including hiring hackers and “trolls” to launch cyber attacks on unsuspecting digital platforms. Of course, when all else fails, President Correa can always resort to tweeting at his Intelligence Agency (SENAIN) asking that it take care of his cyber bullies. As José Miguel Vivanco, the Executive Director of Human Rights Watch’s Americas Division, wrote in December 2014, “the DMCA restoration process takes up to two weeks, a delay that can be decisive for advocates or journalists reporting on fast-moving events or elections…abusive take-downs for alleged copyright violations can become a powerful tool for silencing criticism and commentary online.” This deplorably creative use of copyright law is particularly damaging in the Ecuadorean context, where traditional media outlets have been migrating toward the internet in search for a space where free speech is tolerated. If this trend continues or worsens, Ecuadoreans might find themselves with nowhere left to hide. Vanessa Aliaga is an Assistant Program Officer for Latin America and the Caribbean at the National Endowment for Democracy. She holds a Master’s degree in Latin American and Hemispheric Studies from the Elliott School for International Affairs at George Washington University and a Bachelor’s degree in Political Advocacy from Hofstra University.